Book Adventures: Showers of Books GIVEAWAY Hop! Hooray! Another giveaway! 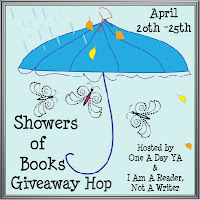 This time it's the Showers of Books Giveaway Hop hosted by I Am A Reader, Not A Writer and One A Day YA. To enter the other giveaways for this hop, click on the Hop image on the left. 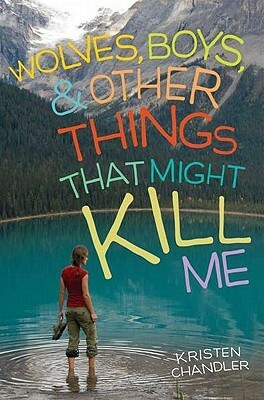 For this hop, I'm giving away one signed paperback copy of Wolves, Boys, & Other Things That Might Kill Me by Kristen Chandler. This is a really great, contemporary, young adult read (that has wolves, yes, but NOT werewolves. Let's move along people). For more information about the book and the author, please visit my past post detailing a lecture by Kristen Chandler about wolves and writing. It's K.J. 's junior year in the small town of West End, Montana, and whether she likes it or not, things are different this year. Over the summer, she turned from the blah daughter of a hunting and fishing guide into a noticeably cuter version of the outdoor loner. Normally, K.J. wouldn't care less, but then she meets Virgil, whose mom is studying the controversial wolf packs in nearby Yellowstone Park. And from the moment Virgil casts a glance at her from under his shaggy blond hair, K.J. is uncharacteristically smitten. Soon, both K.J. and Virgil are spending a lot of their time watching the wolves (and each other), and K.J. begins to see herself and her town in a whole new light. * Kristen's newest book, Girl's Don't Fly! 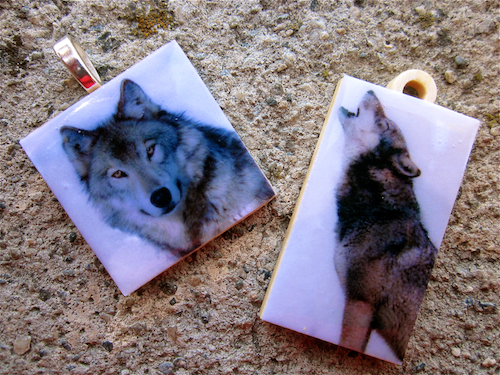 A hand-made wolf charm is part of the prize! I love looking at birds, when they are flying they seem so free! Hmm.......I's like to watch a wolf. That or a deer. penguins! LOL or tigers, or lions would be cool! Thanks! This sounds really boring but sloths! I think they are so cool and adorable as babies! I would like to watch sharks in the wild, they scare me half to death, but they are awesome! Thanks for the giveaway! I would love to see any whale in the wild. Amazing! Any of your big cats! I think ducks are especially entertaining. =) Thanks for the giveaway! I love to watch deer! If I know I won't be eaten? Wolves or tigers. I'd love to watch bonobos. I love to watch the sea otters.